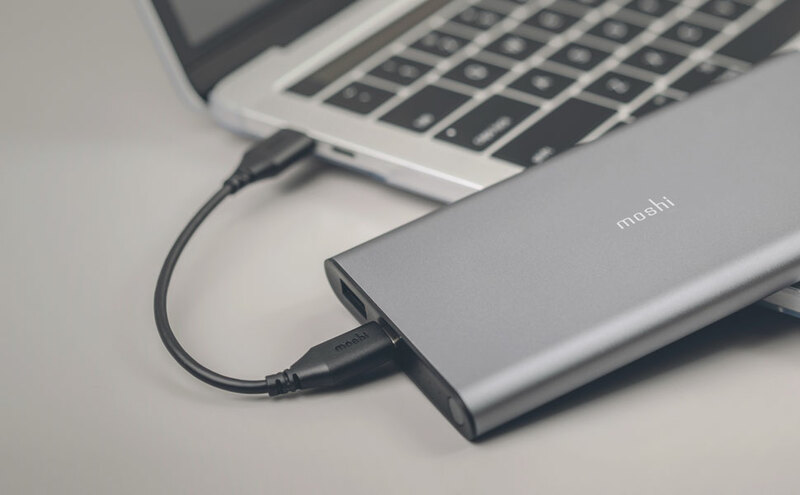 Charge your phone in style with this high-capacity USB-C portable battery made from aircraft-grade aluminum. Supports 30 W power output for providing emergency power to a MacBook or MacBook Pro. 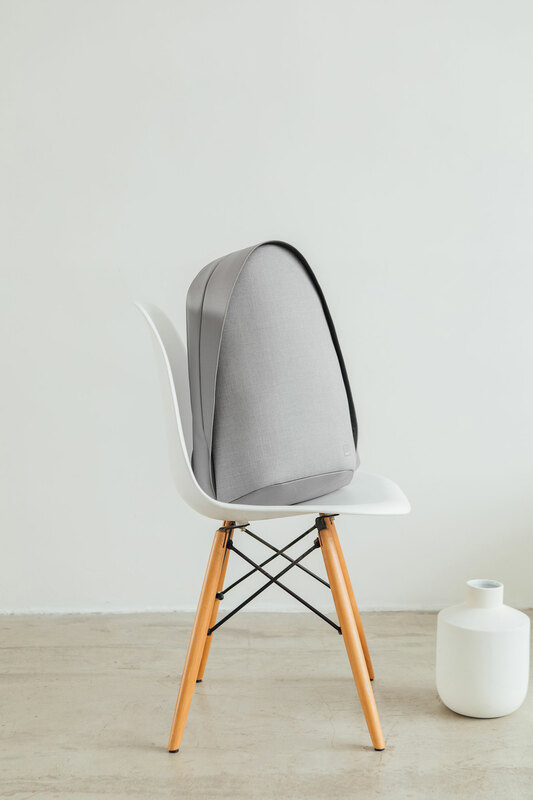 Crafted from premium anodized aluminum. 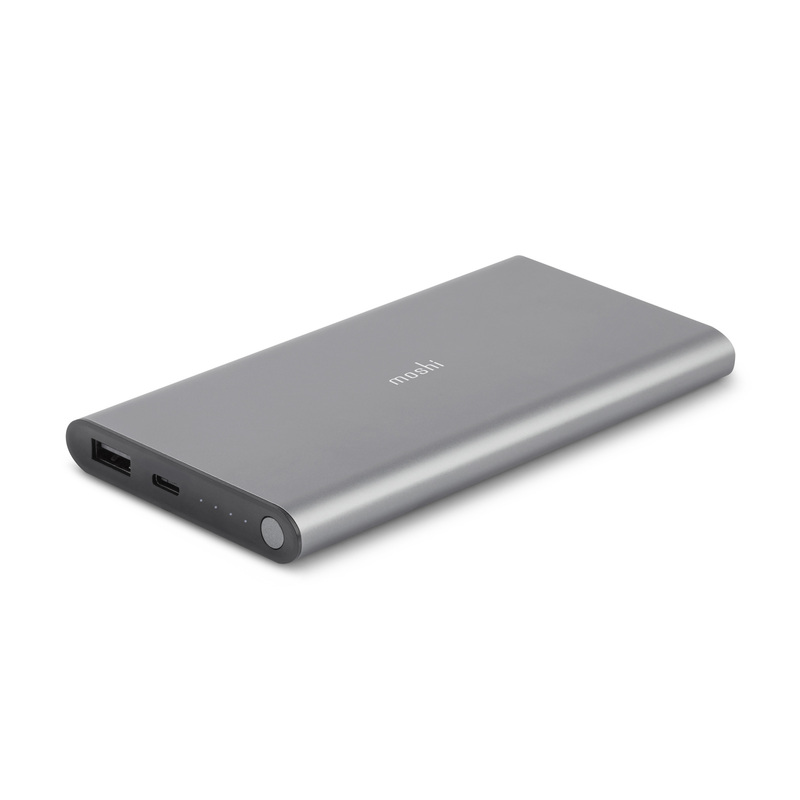 IonSlim 10K can charge mobile phones, tablets, and provide emergency power to a MacBook. 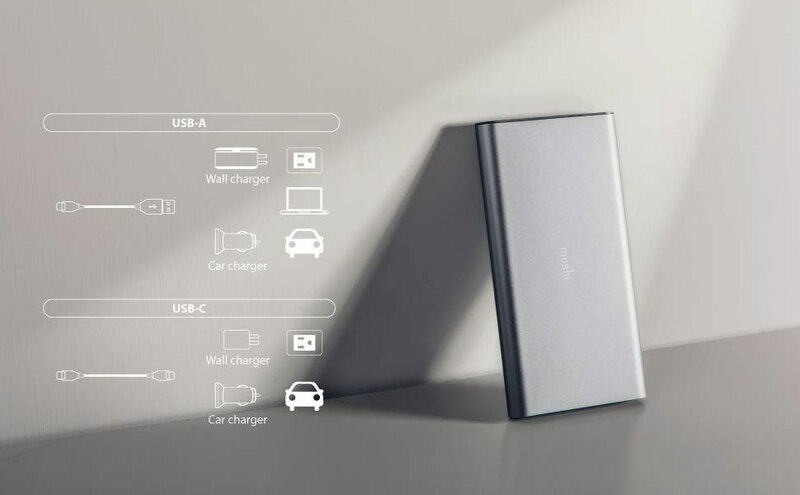 Charge two devices simultaneously thanks to Dynamic Power Sharing which prioritizes the charging current to each connected device. 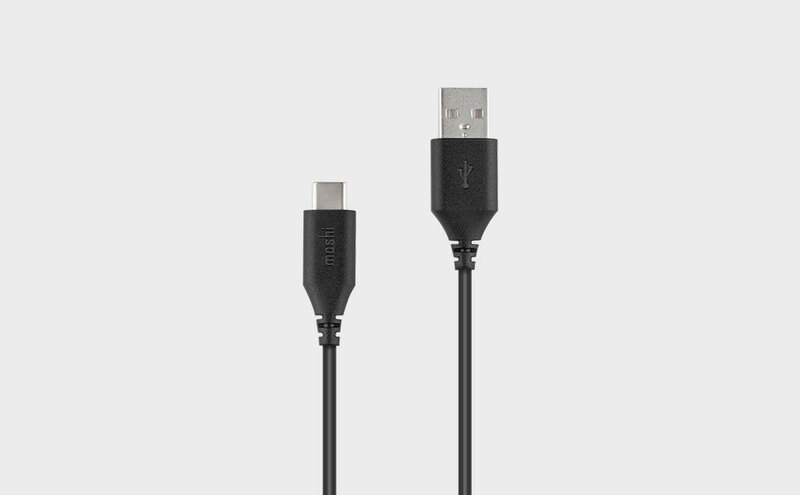 IonSlim 10K can be charged using the USB-C or USB-C to USB-A cable as shown. 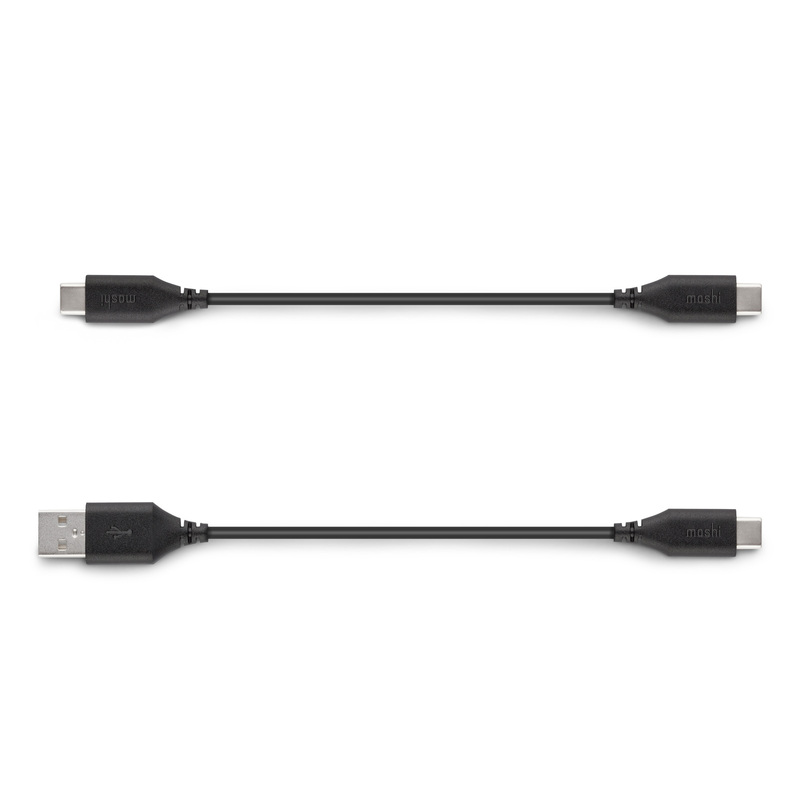 Note: IonSlim 10K only charges itself with the USB-C cable when attached to a USB-C charger. 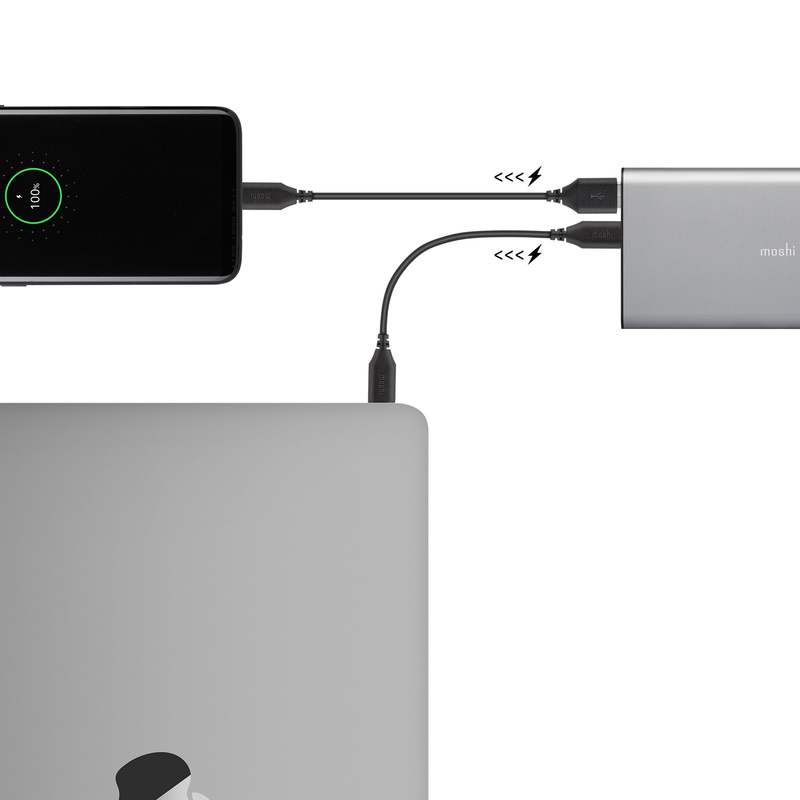 If IonSlim 10K is connected to a USB-C device such as a laptop it will provide power to that device. High-quality lithium-polymer cell that is safe and stable. 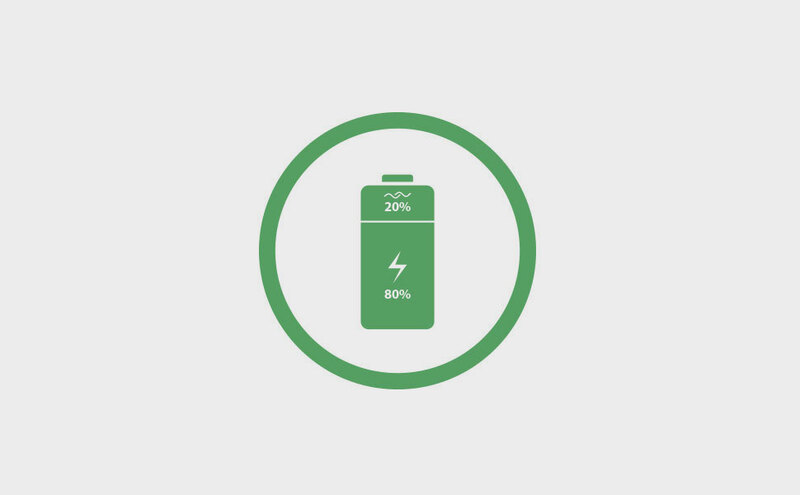 The CPU smart chip allows the phone to be charged faster, while also prolonging its battery life. 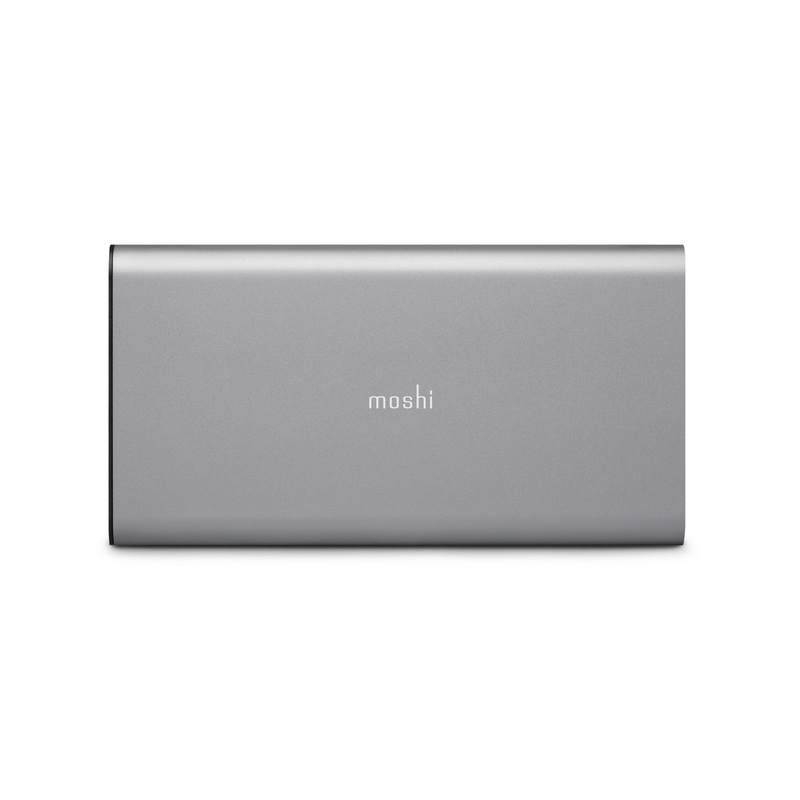 Moshi's IonSlim 10K is an ultra-thin portable battery designed to charge any phone or USB device so you stay powered up all day long. Thanks to USB-C PD technology (up to 30 watts), the battery can also provide emergency power to a USB-C laptop like a MacBook or MacBook Pro. 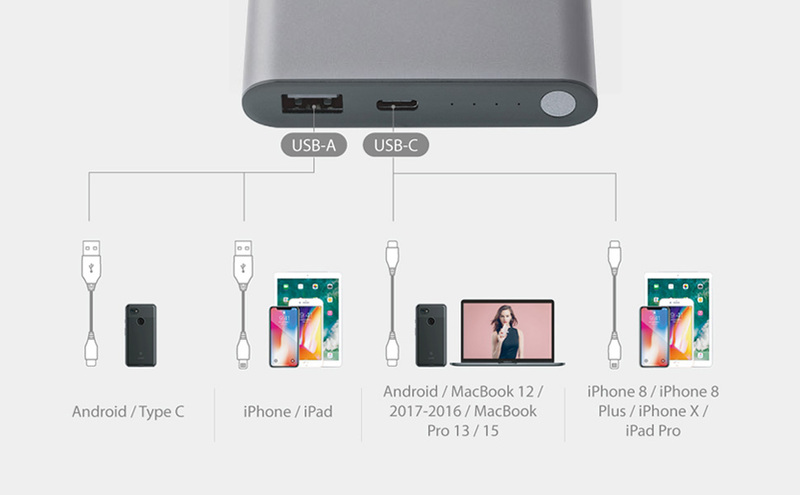 With both a USB-C and USB-A port, charge two devices simultaneously with Dynamic Power Sharing™, which prioritizes the charging current to each connected device. 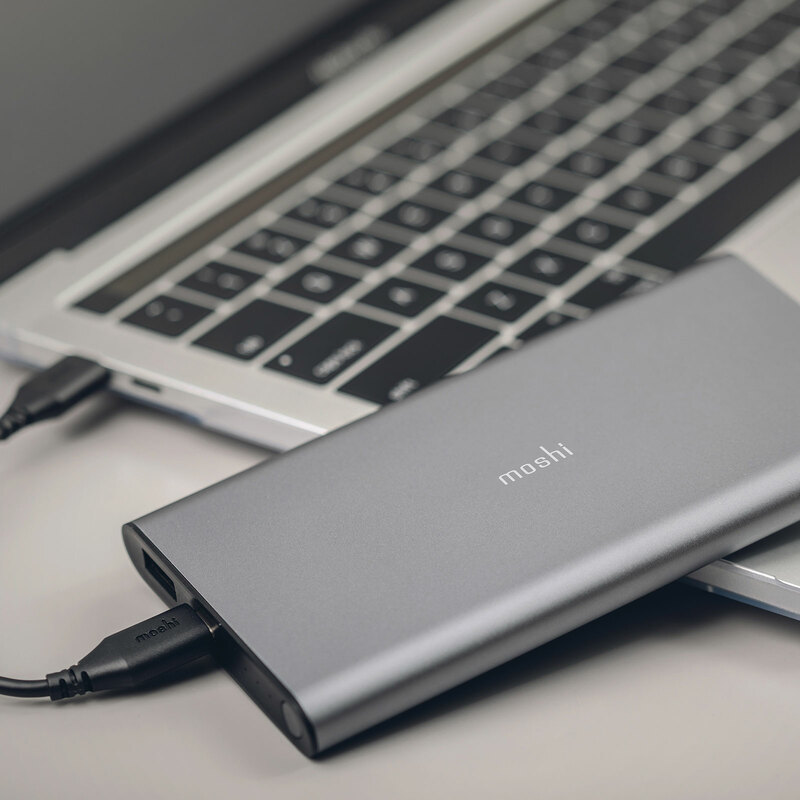 Constructed using premium anodized aluminum in an extremely slim form factor, IonSlim 10K’s stylish design and advanced functionality make it ideal for power users on the go. Fast-charging USB-A port (up to 12 W). 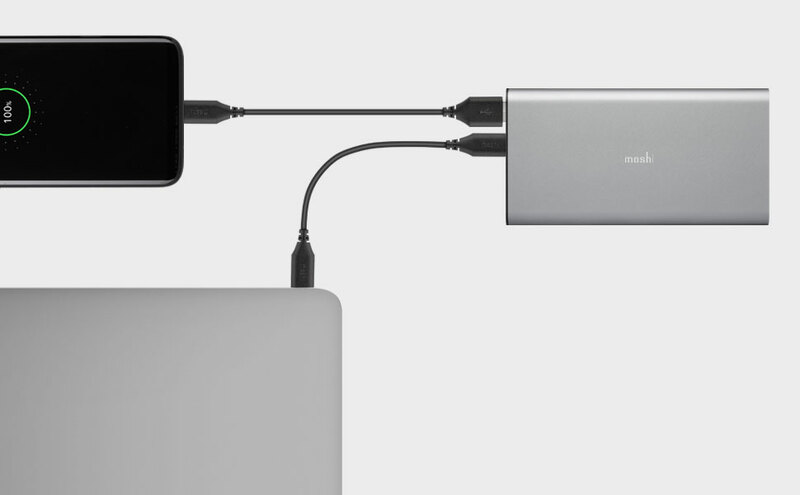 Charge 2 devices at once with Dynamic Power Sharing. Ultra-slim profile (12.88 mm) with premium anodized aluminum. 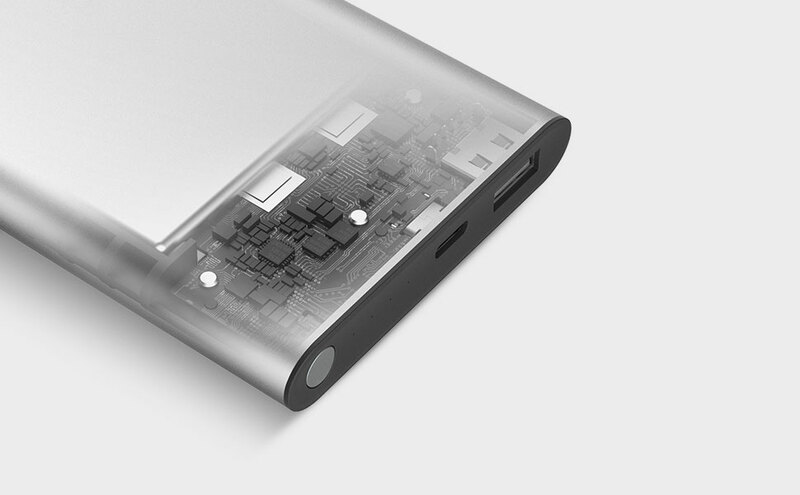 Lithium-polymer cells: 10,000 mAh capacity, total output of 35 W.
Includes 2 charging cables (USB-C and USB-C to USB-A).